With a generous act of individual philanthropy, businessman Frank Mackenzie founded the Lucy Mackenzie Humane Society (LMHS) in 1915 in memory of his wife, Lucy. We’re proudly celebrating our 100th anniversary this year, making LMHS one of the oldest continuously operating humane societies in the United States. Over the course of this past century, we have saved thousands of animals’ lives and made an immeasurable impact within our community. In preparation for our next 100 years, LMHS has established a new planned giving program, the Forever Friends Legacy Society. The goal of this program is to increase our endowment from nearly $1.3 million to $2 million by 2020. By recognizing Lucy Mackenzie Humane Society in your will, trust, insurance policy or by setting up an annuity, you will help to ensure that Lucy Mac will be assisting homeless and abused animals well into it’s next century and beyond. We are often asked this question by friends who have already given generously of their time and resources to prevent animal suffering and homelessness. For many of us, there is a compelling need to make a difference; to leave a lasting impact in the community in which we live. While annual contributions are vital to Lucy Mac’s survival, they are not the only way to give. Planned Giving is a unique, and often overlooked, tool that not only allows shelter supporters to ensure that LMHS’s work will continue into the future, but also helps them fulfill both their charitable and financial objectives. With proper planning now, you can ensure your compassion and support for homeless animals will continue, even as you provide for your own needs and those of your family. These gifts could take the form of cash, stock, bonds personal property, life insurance and real estate. While we will provide you with an introduction to the benefits of Planned Giving, both to you and LMHS, you should consult with your legal and financial advisors if you are interested in participating in the program. Planned giving is for everyone. Small gifts make big impacts: Specify a dollar amount, a percentage of your estate, or specific items to give – no gift is too small. Bequests can be increased, decreased or withdrawn at any time: Your actions today do not bind you in the future. Should your circumstances change, you can modify the size and/or nature of your bequest simply by rewriting your will. Your pledged gift remains confidential: There is no requirement to disclose to us the details of your gift. There are many ways to plan your gifting: There are several types of planned gifts, both simple and complicated, that are ideal ways for someone to benefit LMHS in the future. We invite you to take some time to review this brief summary of planned giving vehicles. The simplest planned gift is a bequest to LMHS in your will, which can take the form of cash, securities, real estate or other types of property. The bequest can be for a specific amount or it can be for a percentage of your estate. The bequest can also be unrestricted or it can be in support of a specific program or service at LMHS. I give and bequeath to The Lucy Mackenzie Humane Society, a not-for-profit corporation, with principal offices located at 4832 VT- 44, Windsor, VT, 05089 (Federal tax ID#03-600-6562), the sum of $_________to be used for the accomplishment of its general purposes [or a specific purpose to be indicated]. You can also give the investments in your IRA, 401(k) or other retirement plan to LMHS. Contributions that you have made over time to such a plan have been growing tax-free. If you leave them to an individual, the funds may be subject to both estate and income taxes, which could cut greatly into the value of the accounts. On the other hand, if you leave them to a charity, like LMHS, these taxes generally do not have to be paid and the charity benefits from every dollar of your gift. It is relatively easy to name LMHS as the sole or partial beneficiary of your retirement plan assets, and your plan’s administrator can provide you with the necessary forms. Many people do not realize that they can use life insurance to provide support to their chosen charity in ways that their current finances might not allow. In fact, life insurance can be not only one of the easiest forms of Planned Giving, but one of the least costly to you. There are a number of ways that life insurance can be used to support LMHS’s work and to magnify your out-of-pocket donation many times over. Just as you can choose to name an individual as the sole or partial beneficiary under a life insurance policy, you can do the same for LMHS. You can name LMHS as a beneficiary under a new policy, or change the designation of beneficiaries under an existing policy to include LMHS, all without preparing or changing a will or changing other aspects of your estate plan. Your insurance company can provide you with the necessary forms. Beyond making LMHS the beneficiary under a new or existing life insurance policy, you can actually take out a policy and make LMHS both the owner and beneficiary of the policy. One of the benefits of this form of giving is that, depending upon your particular tax situation, you may be able to take an income tax deduction for the policy premiums, which can be paid directly by you or by LMHS (funded by your annual gift to LMHS). If you have a life insurance policy that has accumulated savings, or cash value, over time and has been paid up in full, you can transfer ownership of the policy to LMHS, which could then surrender the policy for its cash value. In that case, you may be eligible for an immediate income tax deduction for the gift of the policy in the amount that you paid for the policy. There are two types of trusts that can be created, a charitable remainder unitrust or a charitable remainder annuity trust. Both trusts make payments to a donor for a period of years or for the beneficiary’s lifetime. At the end of a specified period or the beneficiary’s life, the funds remaining in the trust are paid to LMHS. The amount of the payment is determined by a percentage expressed in the trust agreement. The unitrust is revalued each year to determine the annual payout, and the annuity trust is valued once at its inception to determine the payments, which remain constant over the term of the trust. Both trusts are established through trust agreements created by your attorney, who will work with you to help you determine which type is appropriate for you. The trusts provide the charitable beneficiary with immediate income for a specific period, after which the trust reverts to the donor or another charitable beneficiary. LMHS will not receive the trust principal. These trusts may be effective for donors who will need income from trust’s assets at some time in the future, such as after retirement or when other sources of cash flow are no longer available. The purpose of this information is to provide supporters of LMHS (and their legal and financial advisors) with an overview of what Planned Giving is and what forms it may take. Importantly, this is not intended to be, nor should you treat it as, legal, financial, accounting or other professional advice. Again, if you are considering these or any other forms of Planned Giving, we encourage you to consult with your legal and financial advisors. Whether or not the financial and tax benefits discussed above apply to you will depend on your particular financial and tax planning picture. is a thoughtful and caring group of sustaining supporters who have included Lucy Mackenzie Humane Society in their estate planning. 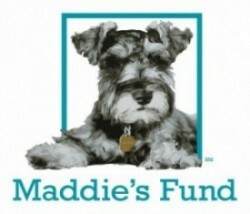 Such generosity provides a permanent legacy in honor of the animals in their lives. The long-term financial health of LMHS is sustained through individuals’ membership in this group. New members are welcomed into the Society at a yearly social gathering, when they are presented with a lasting token of our gratitude. Often, recognizing those who have given encourages others to give. However, you may choose to remain anonymous if you so wish. To find out more with no obligation please contact LMHS Executive Director, Heidi Edmunds at 802-484-5829 or hedmunds@lucymac.org. Once you have planned your gift, just complete and return the Charitable Gift Intent Form. Knowledge of your pledged gift helps us with our efforts to assure LMHS’s long-term financial sustainability. We do not require details such as the amount of your gift, and your information will be handled with utmost sensitivity. On receipt of the form by LMHS you become a Forever Friends Legacy Society member.